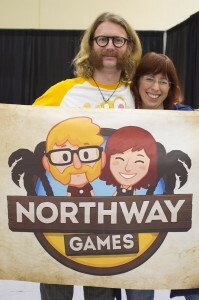 August was a busy month for Northway Games. I helped Rich and Colin launch Deep Under the Sky, a psychedelic arcade puzzler about alien jellyfish. It’s so gorgeous… just go watch the trailer for it then nab it on your iPhone before I remember to end the launch sale. 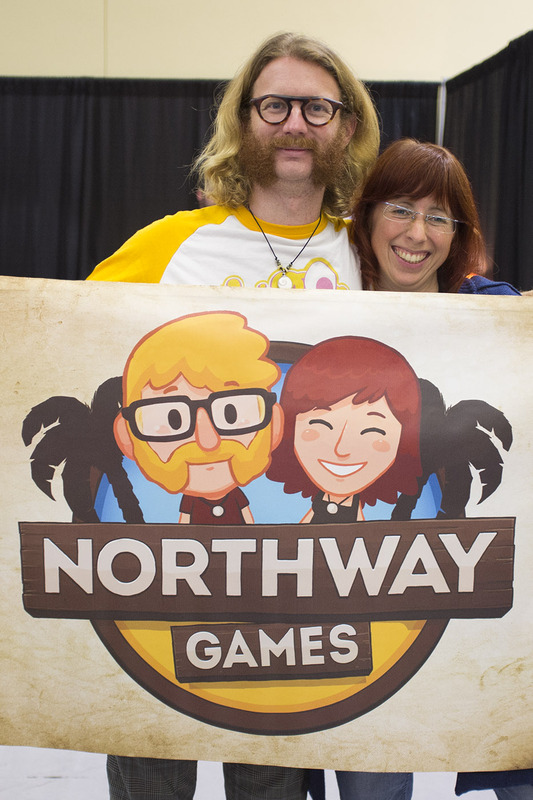 We showed it at CIGGRAPH in Vancouver, then Deep Under the Sky and Rebuild at PAX Prime in our first ever PAX booth. It was an unbelievable experience. I had no idea there were so many Rebuild fans out there! Every time I looked up, someone new wanted to know if I was the Sarah Northway, creator of Rebuild, and could they shake my hand. It was so – I want to say humbling, but it was the opposite of that. It was good, very very good. Now that Deep Under the Sky is out, Colin’s coming aboard the good ship Rebuild to work on the programming and balancing. We haven’t properly worked together since Incredipede so this is going to be fun. Colin’s first task was to track down the memory leak, which we hope is now fixed in the 0.666 update. He’s also working on the new relationships system (one of the Kickstarter stretch goals), and on balancing happiness and fort policies. In the new update I also added 60 new backstories (written by Stephen Gray), 11 survivor perks, and 5 new main leader jobs. I finally hooked up the Steam deluxe edition with 5 more main leader jobs for a total of 15 to choose from. Here’s an overview of how they work and what each one does. 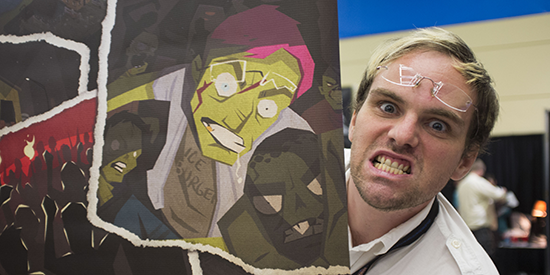 The first thing you do in Rebuild 3: Gangs of Deadsville is design your main character. She (or he) will lead your fort from humble defensive camp to glorious city-state. She’s your most important survivor: the only one (at least initially) who can learn any skill, and unlike the first two games, she can’t be killed. Now comes one of the most important choices in the game: pick your leader’s profession from her previous life, back before the infection started. This determines her starting skills, equipment, and a fort-wide bonus that affects the whole game. Choose well! These are of course subject to change during the beta as I discover which ones are pleasingly overpowered, and which are just too exploitable. The bonus ones are supposed to be a little crazy… probably not recommended for new players. In a future update I plan to add extra perks for your leader that she’ll earn from major events in the campaign mode storyline. Once each city is suitably rebuilt (or escaped from), she’ll be travelling on to the next one with some select teammates, so the job you choose will be even more important. For now, these jobs add a bit of diversity to the skirmish mode and something new to try. I am glad to hear progress has been made in gangs of deadsville. I have been following the development of the game for little while and am very excited for it’s realease.